Homeopathy is safe and gentle and assists in the natural tendency of the body to heal itself. The science of homeopathy is more than 200 years old and has been widely practiced in Europe and Asia. Homeopathy was extremely popular in the United States in the 19th century and then declined with the use of wonder drugs and other changes in the practice of medicine. 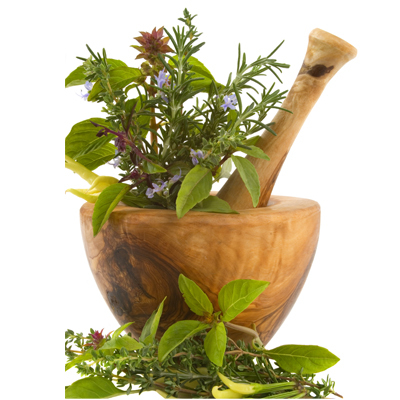 Homeopathy uses natural remedies made from animal, vegetable, and mineral substances. These remedies are prepared in such a way that they are nontoxic and do not cause side effects. Dr. Samuel Hahnemann discovered the basic principle of homeopathy in 1796 in Germany; he did not, however, claim to have discovered the concept. In the 10th century BC, Hindu sages described the concept, as had Hippocrates, who wrote in 400 BC "Through the like, disease is produced and through the application of the like, it is cured." The principles of homeopathy are: The Law of Similars, The Law of Proving, and The Law of Potentization. The Law of Similars states "like treats like.” The Law of Proving refers to the method of testing a substance to determine its medicinal effect. The Law of Potentization refers to the preparation of a homeopathic remedy. Hahnemann found a method whereby the substance is diluted and shaken vigorously over and over again, until the mixture contains no molecular trace of the original matter. This final, minute solution—or homeopathic remedy—is safe and gentle, yet powerful and effective. A homeopathic remedy for headache pain is in actuality a "potentization" of a substance which, in larger doses, may cause symptoms of a headache in a healthy person. When a homeopathic remedy is marked X, it is diluted at the ratio of 1:9 or 1 part substance to 9 parts water. 6X means it was diluted 1:9, 6 times. Dr. Hahnemann called this unique medical system "homeopathy" from the Greek words "Homios" for similar, and "pathos" for suffering. Homeopathic remedies reflect the primary concept that substances in extremely minute doses actually stimulate and assist the body in healing itself. The science of homeopathy is more than 200 years old and has been widely used in Europe, Asia, and the United States. The practice of homeopathy has been exceptionally popular in England; the Royal Family has used homeopathy since the early 1800s.